Today, we’ve got the Five of Wands reversed. Can you try not to fight? And you notice in the image here, all those warriors are connected at the roots, right? Yep. Part of the same family. Whether it’s your biological family, family by marriage or family of friends, if you’re spending today with them, you share something in common. Consider that, before you haul off and punch somebody. I sometimes read this particular version of this card as internal conflict, because it IS showing a single tree. But even if it’s not your kith and kin, or even if it’s not all in your head, we all ARE connected energetically. And that which makes us the most crazy often does so because it resonates with something ugly within ourselves we don’t care to admit. If you get the urge to lash out, that’s always something to consider. Don’t forget your Christmas manners! Do you expect a peaceful Christmas? 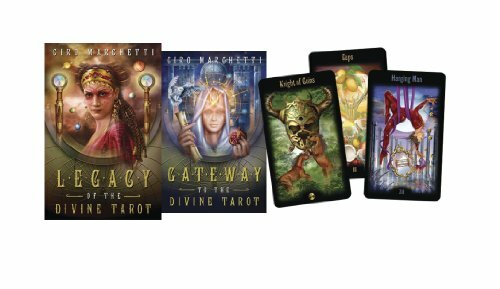 Get a Chakra Tarot reading (and a free workbook) while the special lasts! Did you get my holiday wishes? If you are not on my newsletter list, you may have missed my Holiday Wish email. Many folks took the time to thank me and said this is EXACTLY the message they needed to hear right now. If you’re struggling (or surrounded by those who are), here’s what you can do to help. And to make sure you don’t miss out in the future, subscribe! Ahem.